Named after the immortal Gene Sarazen, the first golfer ever to win the professional Grand Slam, "the thinking man's course" is the ultimate test of accuracy and precision. 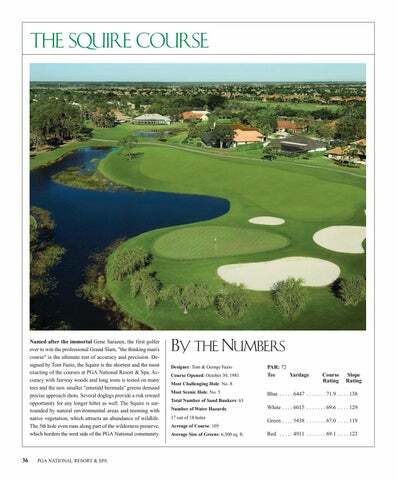 Designed by Tom Fazio, the Squire is the shortest and the most exacting of the courses at PGA National Resort & Spa. Accuracy with fairway woods and long irons is tested on many tees and the new smaller "emerald bermuda" greens demand precise approach shots. 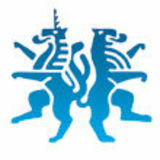 Several doglegs provide a risk reward opportunity for any longer hitter as well. The Squire is surrounded by natural environmental areas and teeming with native vegetation, which attracts an abundance of wildlife. The 5th hole even runs along part of the wilderness preserve, which borders the west side of the PGA National community. Total Number of Sand Bunkers: 63 Number of Water Hazards: 17 out of 18 holes Acreage of Course: 105 Average Size of Greens: 6,300 sq. ft.